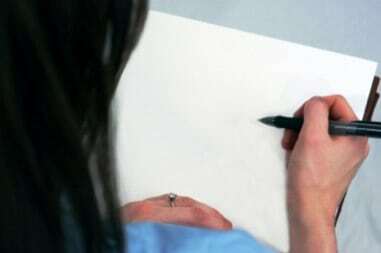 Once I stopped working, I really wanted to do something with my time and get a little cash. I started doing research about online surveys. I found out that there are actually companies out there that WANT your opinion on products, services, and, well, everything basically. And they pay CASH! In doing my research, I found SO many search results. Some websites wanted me to pay them for a list. 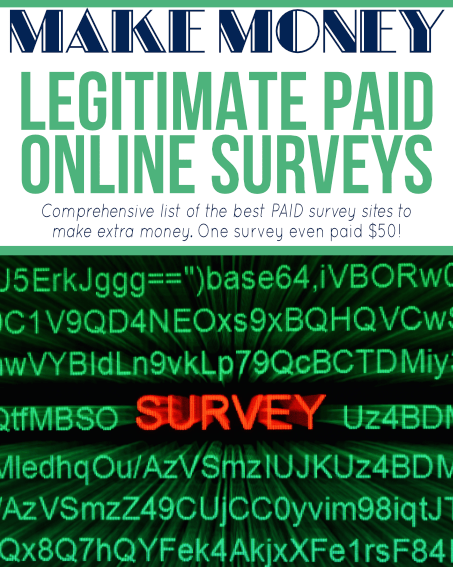 Let me just WARN you right now: if a website is wanting paid for these survey sites, DO NOT DO IT. You can get so many survey sites on your own for FREE. NEVER EVER pay for this! There are a lot of legitimate survey companies and all offer various types of rewards from cash to points that can be reimbursed for various products in a gift catalog. I really only wanted surveys that would pay in cash or that had gift cards as one of the rewards. I am a member of a few survey sites that offer products, which are still good, but they are not my preference. 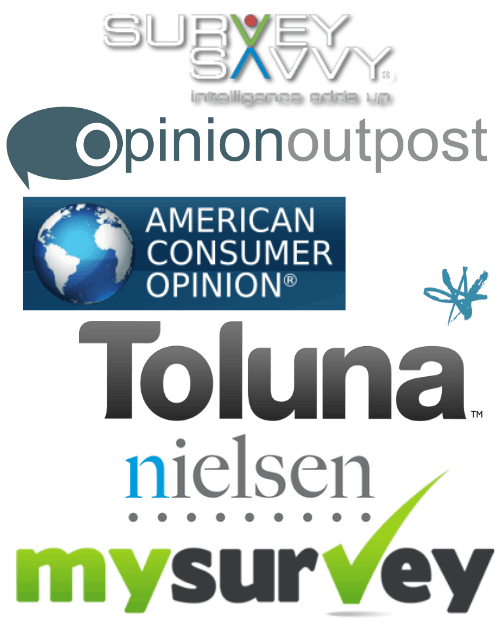 Check out my tips to get started doing online surveys. That post explains a lot to getting started and ensuring you keep organized and on top of the survey requests. As a side note, you will have to register and complete participant profiles so they can see what types of surveys the company will send you. Be prepared to fill out some surveys that don't necessarily pay in order to get the ones that do. Don't worry, the good ones will come if you're active! Wondering what survey companies are worth it, and the benefits each offer? You'll want to pin this post below so you have it handy when you're ready to get started! This is another good survey company that pays cash. They will typically send you screeners before you get accepted to do the paying surveys. I've been paid anywhere from $2 to $10 for one survey. It all depends on the type and length of the survey. Another company that you earn points that equate to dollars and can cash out when you get to a certain balance. I got offers from them a few times a month. It's easy to add up the money too. I think all the sites are great (or else I wouldn't mention them), but this is another fave of mine. You earn points that you can buy gift cards. I've received an amazon gift card and starbucks gift card so far. I've previewed tv pilots and have just done general surveys. Receive an in-home scanner to scan your purchases. You will receive credit that you can exchange for prizes. Earn points for surveys and exchange them for cash! 100 Points are equal to $1. Earn points for surveys and can select cash or product for your reward once your get to 1000 points. I really like this site too because you get points just for completing screeners which add up quickly! My Survey also acquired Lightspeed which I used a lot as well. Earn cash and it's kept in an account to cash out whenever you want. They always give $1 for each and it's also usually more. It adds up quickly! Receive a $5 Sign on bonus immediately! These surveys pay you cash and the survey will tell you how much it is worth before you take it. You keep a balance in your account and can cash out once your account balance hits $25. You can also get paid by paypal (which I love). Another one of my faves. You earn cash and it's kept in an account for you to cash out whenever you want. I get several surveys from them in a month. I shared more details about Toluna taking over the previously known Your2Cents Survey Group in my post here. This isn't a survey site, but it's a community that wants your opinions and pays you for them! You accumulate points in your accounts during the quarter for responding to discussion threads or participating in private surveys. At the end of the quarter, you receive amazon.com gift cards based on your account balance. I've received around $10 from them and I just joined last summer. Earn cash and it's kept in an account for you to cash out once your balance gets to $20. It's pretty to easy to get to that amount too because they always send surveys which are at least $1 (usually more). Earn points for screener surveys. These really don't take a lot of time and do add up. True surveys take longer and pay higher points. I get several requests each week so there's more opportunity to earn points faster. Your account balance must have 1000 points in order to get a cash reward. These are sister sites and I am a member of both. Both websites have daily surveys you can complete to earn $1 (at each respective site). You have to qualify for the surveys (all surveys for that matter) to ensure you're opinion isn't biased one way or the other (i.e., you won't get a grocery survey if you work at a grocery store). After completing one of the daily surveys, I was invited to be in a community (invitation only by the company) that pays me a $10 amazon gift card each month for participation once a week. It definitely pays to do those surveys! Both websites also have a Paid To Read (PTR) program. PTR is where you get emails from companies requesting you to click on the button that says “Click Here to Confirm Reading.” That's it – you can review the site you're directed to if you'd like, but neither of these websites require that. Some PTR sites require you stay on that site for a minimum amount of time and click on stuff but neither Send Earnings or Inbox Dollars require that. I just click on the link to confirm I've read it and close the window. When you do several of these a day, the money slowly adds up (you get anywhere from .01 to .10 cents per email read). Both websites have a minimum account balance of $30 required to receive your check. I have been a member for around a year now and am almost near my $30 pay-out. You can sign up through either the link above, or the banners on the side bar. Send Earnings is offering a $3 sign-up bonus. An easy way to start you balance! Pinecone Research Panel is considered one of the more lucrative survey sites. The annoying thing with this survey site is you have to FIND the banner – they are never just posted for people to go sign up. They do pay $3 for each survey you do and it's either a check or paypal to you. Once you're in, it's a good one to be a member of. This is a great one for people with kids. I get at least one a month. Again, you earn points that equate to cash and can cash out once you get to a certain balance. It's very easy to rack up the money. My boys have both also done surveys (with my help). I realize not everyone is comfortable having their kids do the surveys but my kids absolutely love it! They have watched pilots of new Nickelodeon shows and given their opinions – some shows that are on TV now (and others that aren't). Very cool! Cash only survey company and is one of my faves. I get at least one a month from them too. The surveys pay around $5-$10 for each and a check is automatically mailed to you. I actually just got a check from them this week for $7. P&G has a local (Cincinnati) program set up at the P&G Discovery Center called Consumer Village. You can either register online or order to get the information to be a member, you need to call them at (513) 627-4600 to request the paperwork for studies. Than after you're signed up, you call the number you are given daily (or whenever you want to find out about current studies) to see what opportunities are available. Since I've been doing this, I have done several studies and get called quite a bit. I know people who have and received free diapers, wipes, etc, to “study” and got paid for using something they needed anyway. I would expect it will take probably a month before you really start getting some surveys. Be ready because you will be getting hit with a couple each day. Earning does take time, and you won't get rich. I probably get around $20 a month just from online companies if I do receive immediate payment. Hi I just have one question. Do you ever go into a store and come home and answer questions about the service and products of a store? I think this is called a secret shopper. Have you heard about these, and if you have how to you get involved without paying a internet site? Thank you. Shirley, my friend Carrie at http://moneysavingmethods.com has tons of great information on those types of services. They are actually called mystery shoppers. She usually highlights various legitimate companies to get involved with. Go check out her site and click on the link in the right side bar that says “Mystery Shoppers.” Be sure to email her if you have questions too!